Summer may be over and Fall is here, but that doesn’t mean that coming to the beach has to end. Here on the Emerald Coast you can still enjoy sitting on the beach and soaking up the sunshine. The average temperatures in October are low 80s for highs and lows in the mid 60s. Not too shabby. Sort of a secret season Destin Florida is about tranquil a place to be during the fall months. There are many different events happening during the month of September into October that you can’t miss! Staying in one of our Destin FL rentals will make you want to come back each fall for your family vacations. If you are looking for a family-friendly fun, then check out the Mattie Kelly Arts Foundation concerts on Thursday Nights. On September 27th hear the Pickled Pickers beginning at 7:00 pm to 9:00 pm, as you listen to them play some feel-good music for the soul. October 4th hear Forrest Williams Banks and on October 11th hear Season Ammons Band play. Admission to the concerts are $15 per person but children 12 and under are free of charge. What a great way to spend a family night while on vacation then listening and dancing to some great music! Are you a seafood lover and like to travel around to the different seafood festivals? 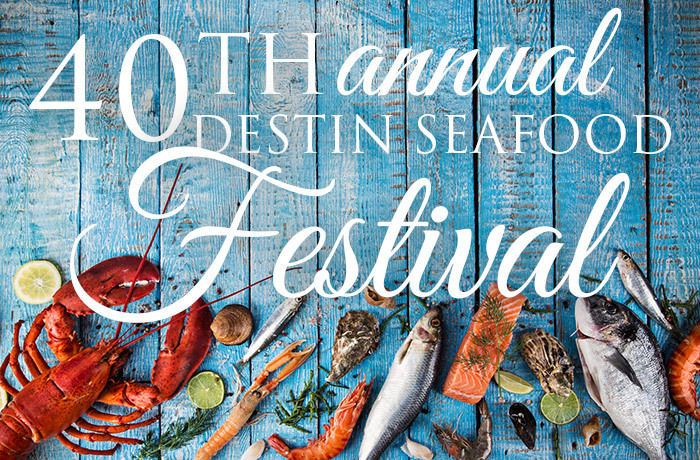 Well look no further as our Destin Seafood Festival is the best around! Beginning on Friday, October 5th and ending on Sunday, October 7th, this 3-day event just can’t be missed. From live music to kid events happening there is something for everyone in the family to enjoy! Admission to the festival is Free so don’t miss this festival this October! If you are into artwork for your home or to give as gifts, we suggest going and checking out Artwork on the Harbor. This every 3rd Sunday each month from 11:00 am to 4:00 pm located at the Destin Harbor. There are more than 40 vendors that include painters, photographers, sculptors and even food vendors for you to shop with. Don’t miss out on this opportunity to get some local art to take home and share with guests in your home. 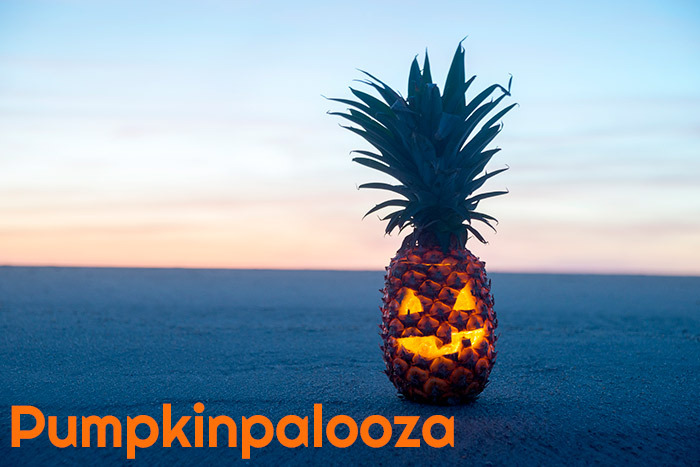 Pumpkinpalooza is a 2-day event happening at HarborWalk Village that is fun for the whole family! Friday, October 27th begins at 6 pm where the adults can take part in the Monster Mash Pub Crawl, live music, fireworks and even a costume contest! For adults 21 and up who want to take part in the Pub Crawl you will have to pay $10 for each adult. On Saturday, October 28th beginning at 2:00 pm is where the fun for the kids begin. Have a Spook-tacular family fun day with tick-or-treating at local restaurants and shops along the Destin Harbor Boardwalk. There will also be a kid costume contest and even a contest for your 4-legged friends and their costumes! This is a Free admission day and it would be a great way to end a fabulous family vacation! There are many other events happening during the month of October, but we thought you’d enjoy these events. 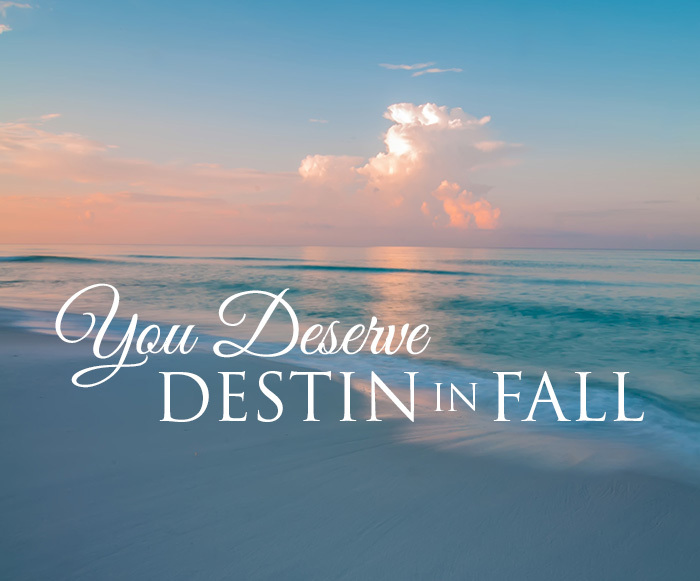 If you have never been to Destin before, we hope that you will come visit during the fall months. The weather is just right and isn’t too hot for you to sit out and enjoy the sand and surf. If you are still looking for a Beach Front vacation rental we still have availabilities this fall. We can’t wait to see you!